Keeping leaves of critters out of your pond can be tricky. Not anymore! 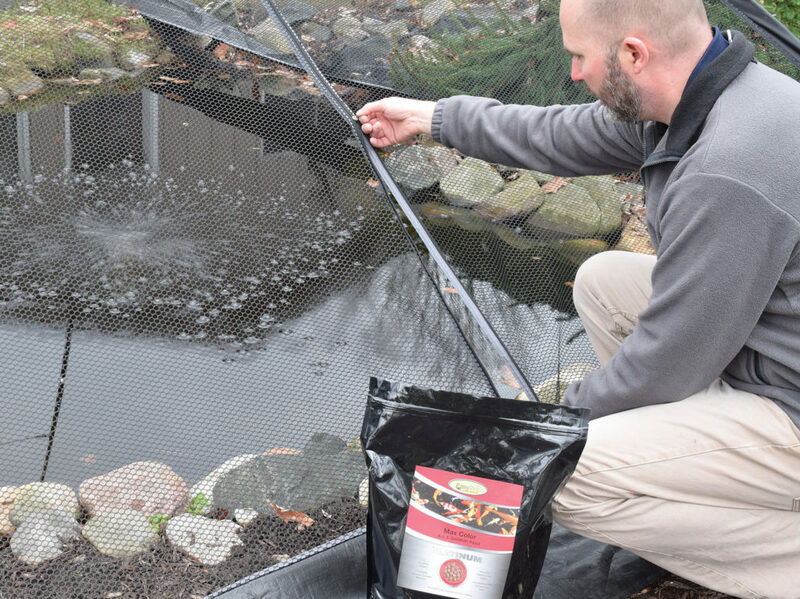 Ideal for use in the fall, the Deluxe Pond Cover Tent is easy to assemble and provides protection for fish and your pond. Its strong 3/8″ nylon mesh is UV resistant and allows for easy viewing of your fish even with cover in place. Simple two person assembly can literally be completed and installed over the pond in minutes. Feed your fish or take care of your plants without moving the tent using the zipper built into one side of the tent. 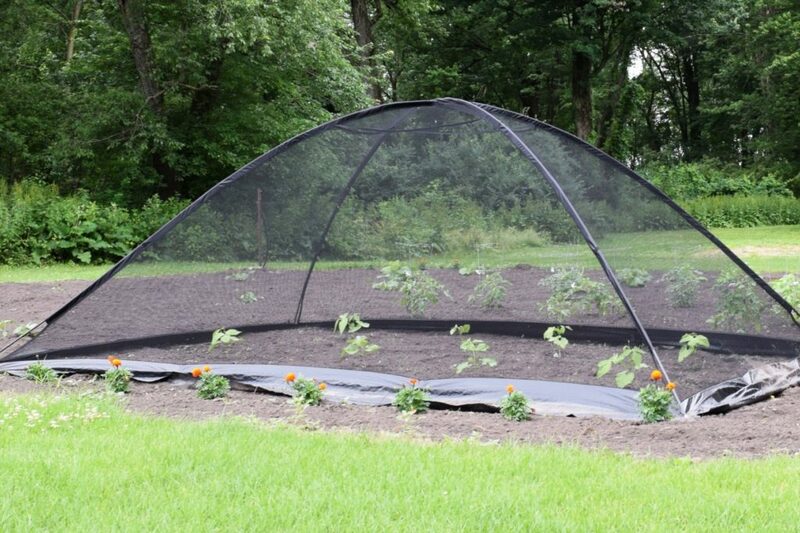 These tents also work well for fruit and vegetable plots. Let in the sunlight and rain, keep out the garden invaders. The built in zipper allows for easy access to care for your plants. Available in three sizes: 8′ x 10′, 10′ x 14′ and 13′ x 17′ the Deluxe Pond Cover Tents include: tent body, fiberglass poles, tent stakes, storage bag and installation instructions. 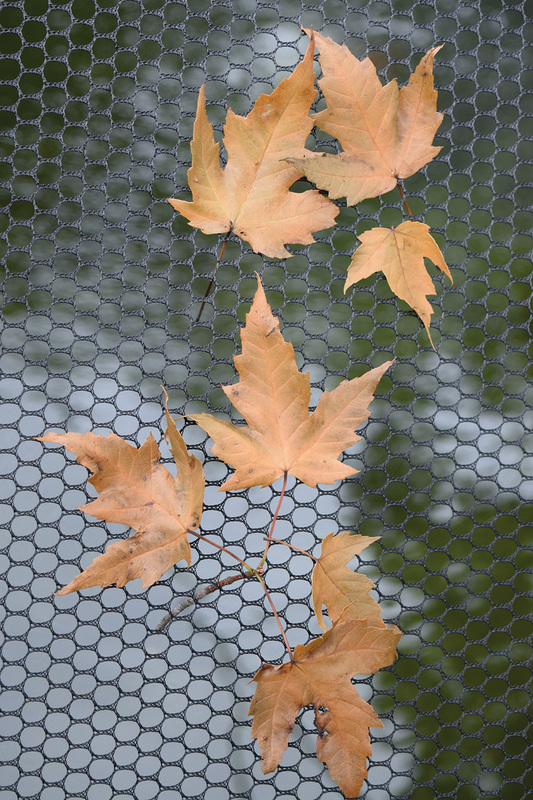 Keeping leaves out of ponds in the fall or pesky animals out of your water feature, landscape or garden all season long can be a difficult task. 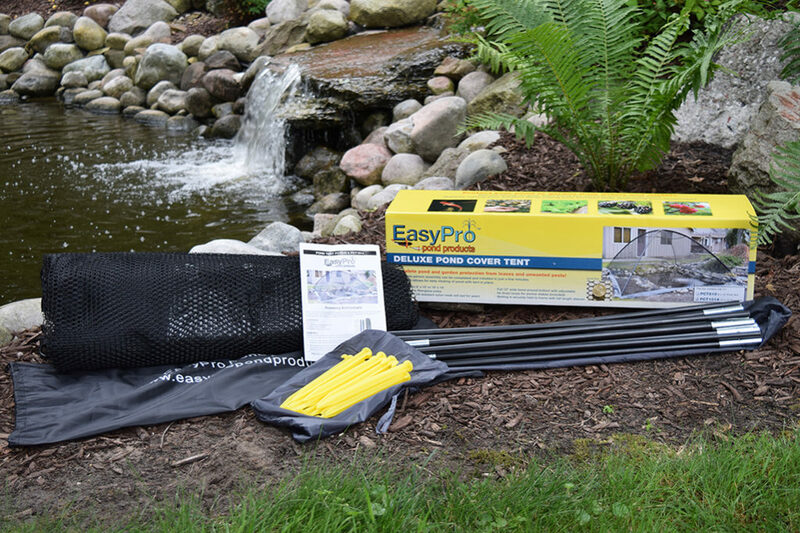 The strong construction, large coverage area and simple assembly of the EasyPro Deluxe Pond Cover Tent will help make taking care of your pond or garden easier and more enjoyable.